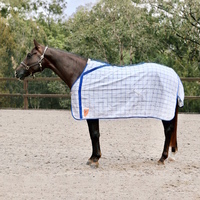 This Neck Rug beautifully compliments our LIned Canvas rugs and is made using the same Rip-stop Poly-cotton Canvas fabric that is 100% waterproof. 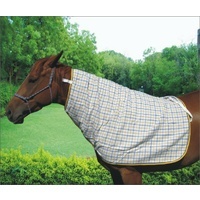 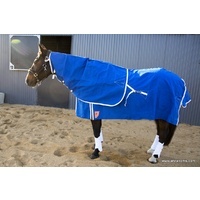 The soft finish of this fabric ensures that the rug moulds beautifully on the horse and also enables easy handling. 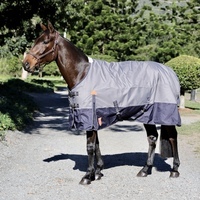 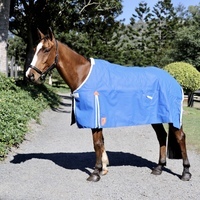 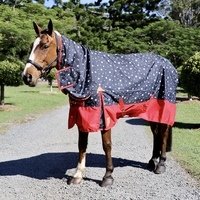 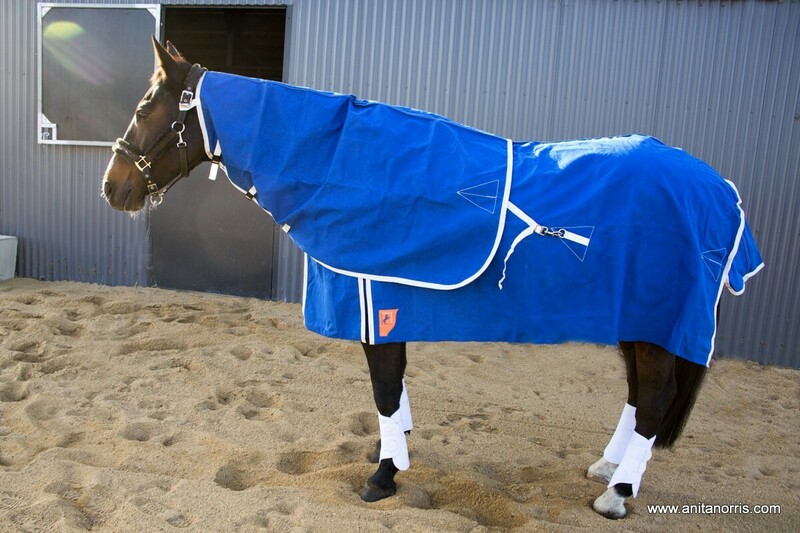 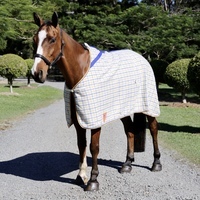 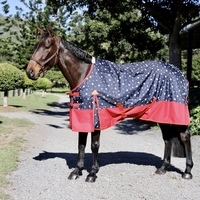 Being a canvas rug, your horse will remain dry and warn in wet weather conditions plus the rug will ensure that no sweat or moisture is trapped inside the rug. 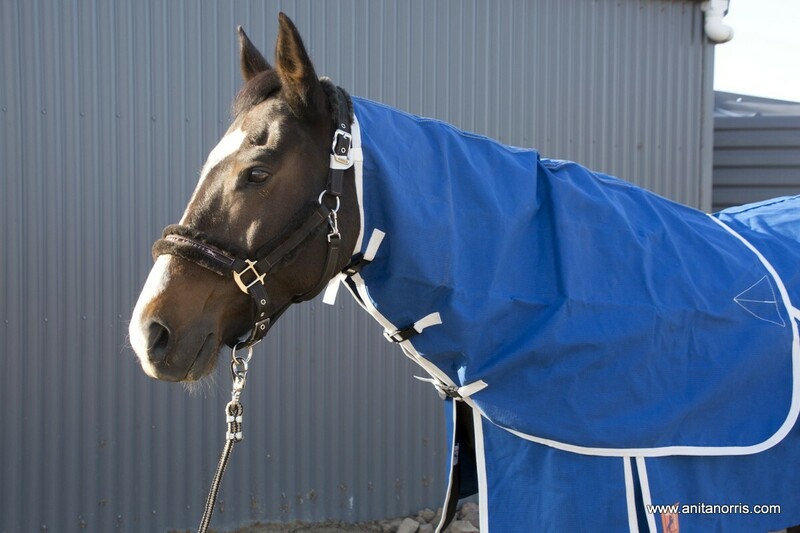 Being a generous fit the neck give the horse added freedom of movement. 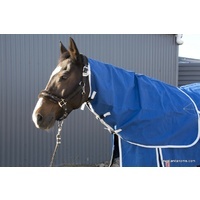 Further, the neck rug is fitted with quality metal and plastic fittings plus a soft 70D Nylon lining has been used to prevent any rubbing of the mane. 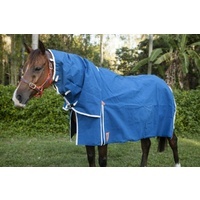 100% Waterproof 16oz Poly-cotton Rip-stop fabric. 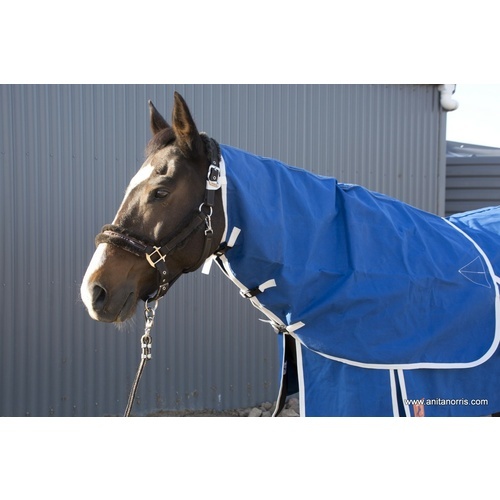 Soft 70D Nylon Lining at the mane. 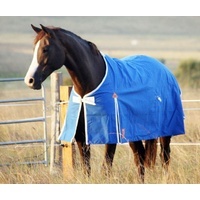 Highest quality metal and plastic fittings. 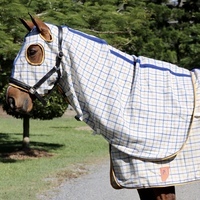 Fully bound with a matching PP webbing.